India’s largest luxury carmaker Mercedes-Benz today further strengthened its presence in Andhra Pradesh and Telangana by inaugurating a state-of-the-art dealership in the key Hyderabad market. Silver Star, the latest luxury destination in Hyderabad boasts of having the largest single floor showroom across Andhra Pradesh and Telangana, and is located in the posh locality of Banjara Hills. The luxurious showroom was inaugurated by Mr. Roland Folger, Managing Director & CEO, Mercedes-Benz India and Mr. Amith Reddy, Principal Owner, Silver Star. The Southern market remains one of the strong growth drivers for Mercedes-Benz nationally, and we are satisfied with the steady demand for the brand in this important market. 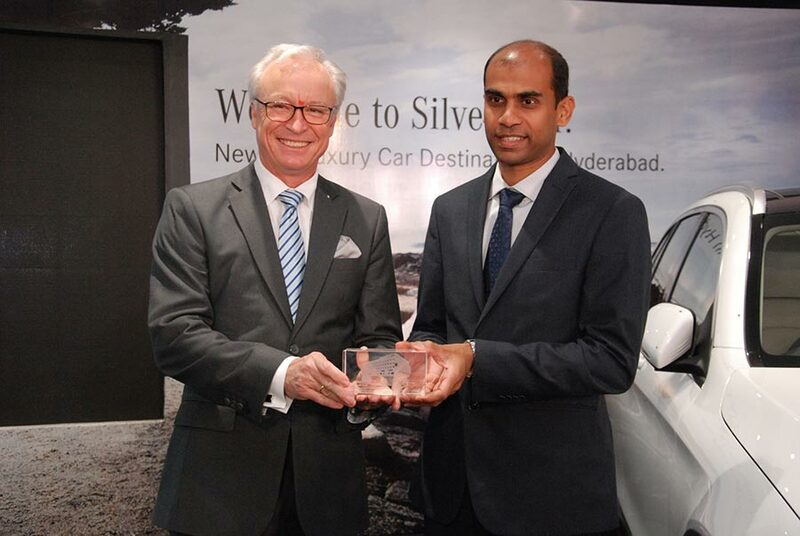 Silver Star is our second dealership in Hyderabad and with its inauguration, we will further strengthen our foothold in this burgeoning luxury car market. Strategic network expansion comprising introduction into new markets and expanding our presence in existing market, remains key pillar of our growth story in India. The inauguration of Silver Star is a strategic direction towards accelerating our growth pace in this market. It is a matter of privilege to have found a trusted partner in Silver Star that understands our brand philosophy and has invested in this luxurious venture. We want to provide an unparalleled luxury experience to our discerning customers and world-class luxury destinations like Silver Star featuring India’s first ‘Premium Customer Lounge’, reaffirms our philosophy of offering the ‘Best or Nothing’. We want to constantly engage with our patrons by offering them our fascinating products, world-class retail infrastructure and uncompromised service experience. We are confident that Silver Star will make the entire Mercedes-Benz ownership experience, a memorable one for our customers, brand enthusiasts and add to the brand’s strong presence in Hyderabad. The luxurious state-of-the-art dealership, Silver Star is spread in an area of 20,000 sq. ft. making it a one-stop destination for luxury car lovers. The dealership is located in the posh locality of Banjara Hills at #6-3-563, Erramanzil Colony, Banjara Hills Road, Somajiguda. With an impressive 11 car display, Silver Star can showcase the entire range of Mercedes-Benz cars. The dealership also boasts of the first ever Premium Customer Lounge in India. It will also house Café Mercedes, a section dedicated to complete range of new cars and also official Mercedes-Benz merchandise and accessories. A dedicated area is created for delivery of the cars within the showroom. The workshop is conveniently located at # B 29 & 30, Industrial Estate, Sanathnagar, it provides the best of services for the patrons. The workshop is spread in an area of 50,000 sq. ft. and has a capacity to service 6000 cars in a year. The workshop also boasts of the first ever fully air conditioned service reception bay in India. With 48 well-trained staff working at the workshop, and 42 dedicated staff at the showroom, Silver Star has an accumulative team of 90 people, which is steadfast, motivated and eager to set new benchmarks in customer delight. The staff is trained in superior quality repair work and Mercedes- Benz values of PRIDE (Passion, Respect, Integrity, Discipline and Excellence) in business dealings with customers. 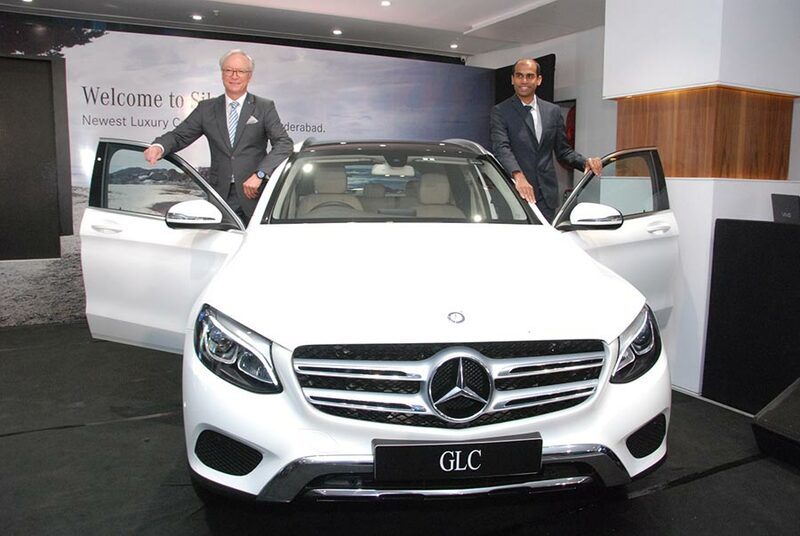 Silver Star is glad to have partnered with a legendary brand like Mercedes-Benz. The Three Pointed Star has a rich history with over 130 years in luxury mobility and we are keen to take this association further. We are in complete alliance with Mercedes- Benz’s ‘Winning’ philosophy that aims at winning the hearts and minds of our elite customers by providing them the best of our offerings. It will be our constant endeavour to make customers for a life-time through our magnificent brand experience and a strong commitment to service excellence. We promise an exhilarating brand indulgence and a hassle free ownership experience for our customers. The inauguration of Silver Star will see Mercedes-Benz expanding its footprint with the 87th outlet across 40 cities in the country. Mercedes-Benz India continues to be the market leader in the luxury car segment in India has the densest network as well. The network expansion is well-strategized bringing the company closer to the established customers, potential patrons as well as offering all visitors the opulence of the Mercedes-Benz world. In 2016, Mercedes-Benz has inaugurated new outlets in cities like Pune, Vijayawada, New Delhi, Nagpur, Ahmedabad and Mangalore.